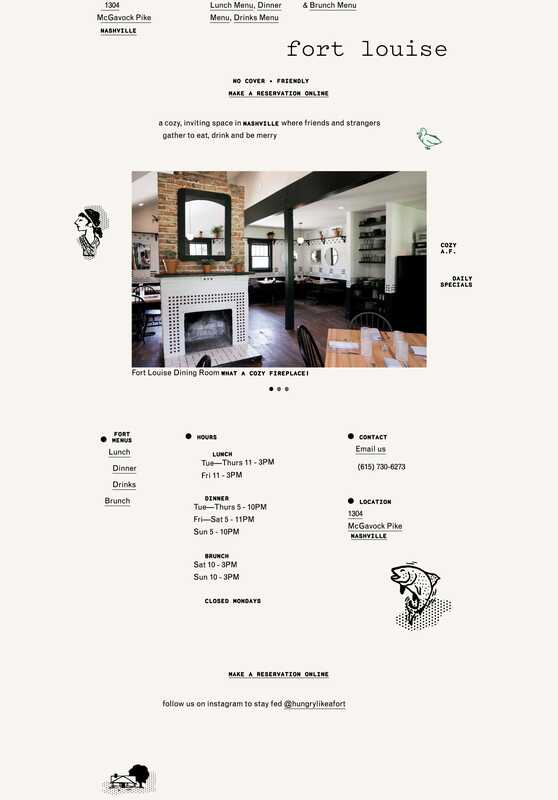 Unique scattered layout in this One Pager for Nashville-based eatery, Fort Louise. Awesome to see this built on WordPress too. Located in the heart of up and coming Inglewood neighborhood in East Nashvillle, Fort Louise is a chef driven, cozy neighborhood restaurant. Owners Jessica Bower and Chef Greg Biggers have created a unique casual dining experience that offers simple yet playful takes on American comfort food. Offering a spacious patio and a comfortable dining room, Fort Louise is perfect for all members of the family for lunch, dinner or weekend brunches.